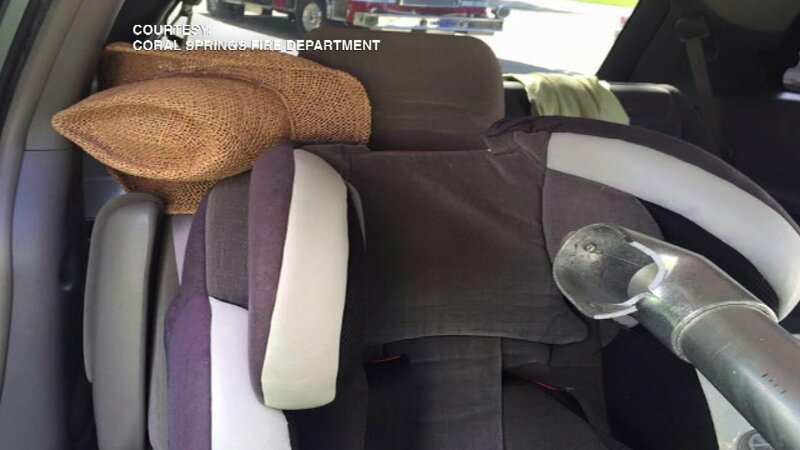 CORAL SPRINGS, Fla. (WPVI) -- A family from South Florida is safe after a crash sent a fence post flying through their van's windshield. 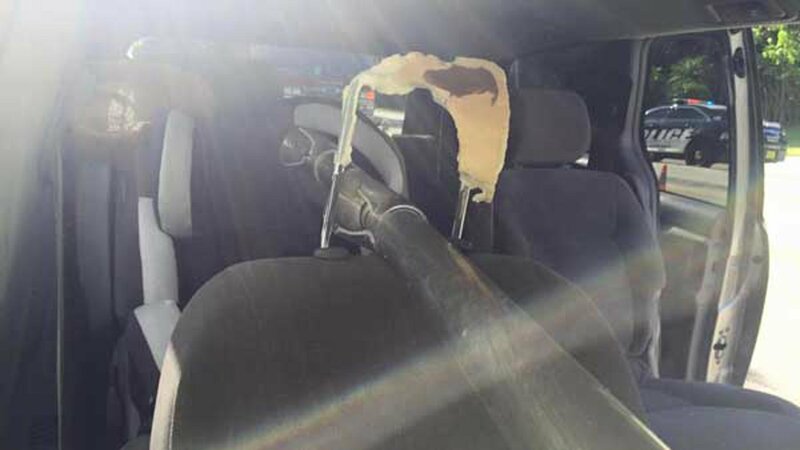 The pole narrowly missed a 4-year-old girl sitting in the back seat. 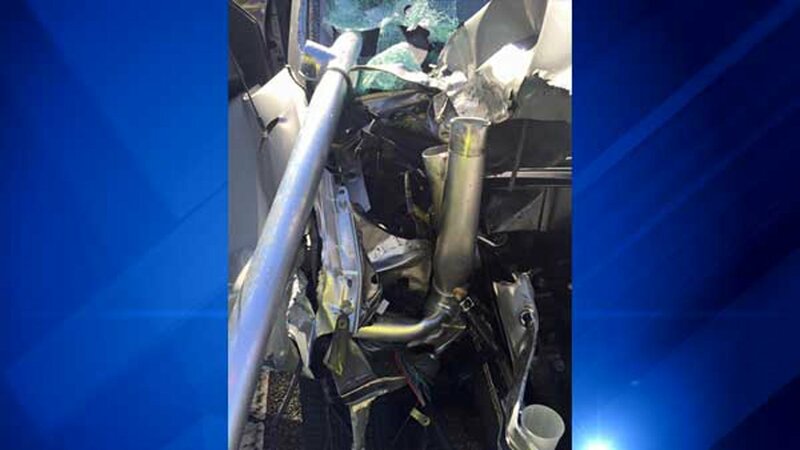 Police said Besayda Sosa, who was driving the van, lost control and crashed into a fence. 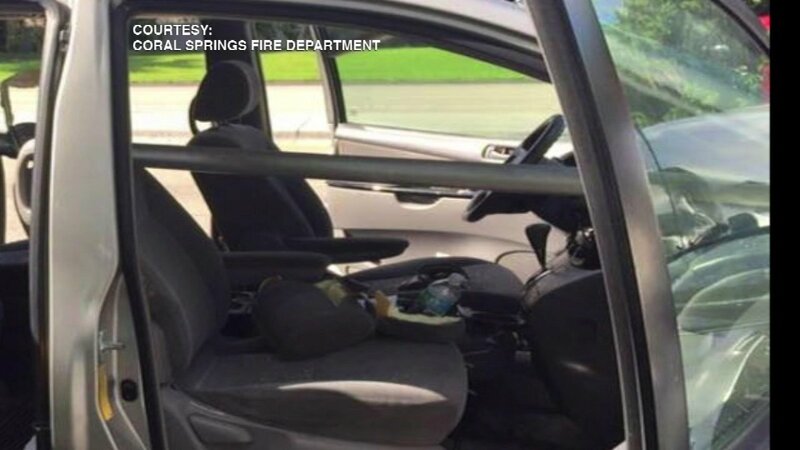 The post impaled the windshield and passenger seat headrest. 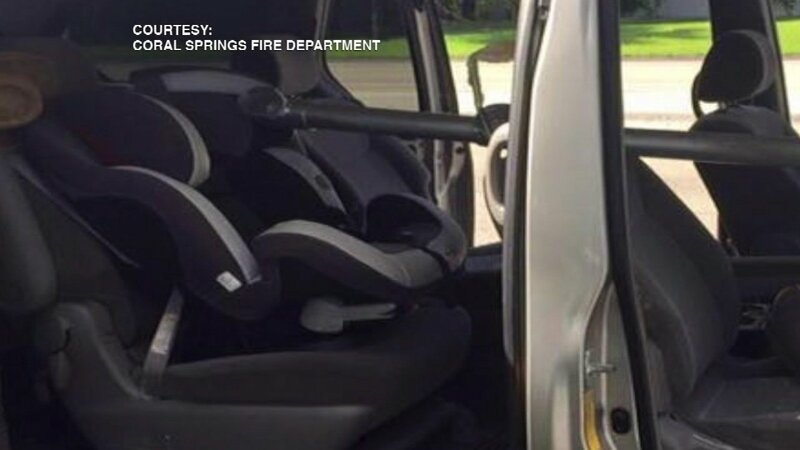 It stopped inches away from Sosa's daughter Khloe, who was sitting her car seat. 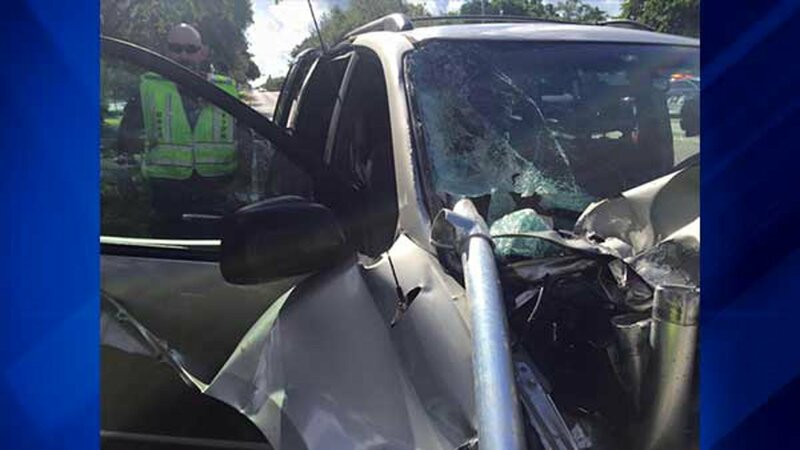 Sosa told WPLG she "doesn't even want to think about" how close the pole came to hitting her daughter. Hours after the crash, Khloe boasted to the TV station that she didn't even cry. 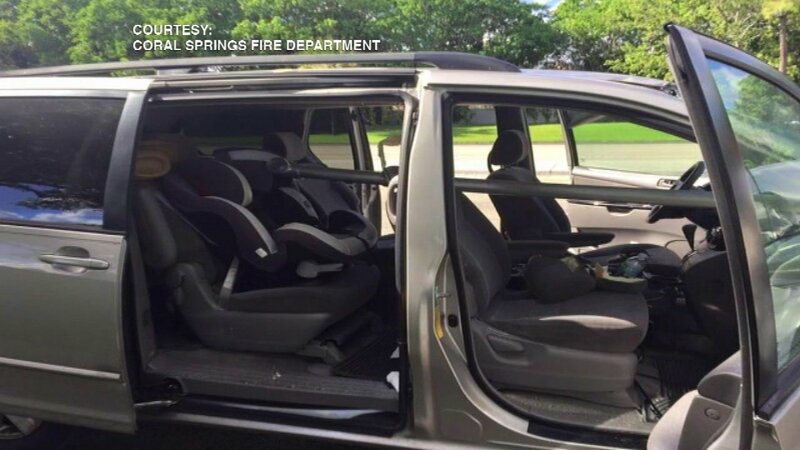 In a Facebook post, the Coral Springs Fire Department called Monday's incident the "close call" of the year.